Earn a maximum of 12 CME while learning from the BEST. This study tool helps prepare physicians for the ABPM certification/re-certification examination utilizing an interactive and engaging format. The ASAM Board Examination Study Tool (BEST) helps prepare physicians for the ABPM certification/re-certification examination utilizing an interactive and engaging format. Live attendees of the 2018 ASAM Review Course in Addiction Medicine in Dallas, TX receive the 2018 BEST complimentary with registration. Additional Board Exam Preparation resources and tools are also available. Differentiate between important terms and definitions in the field of Addiction Medicine. Appraise addiction patient cases and respond accurately to questions about next steps and treatment options. Employ knowledge gained in the educational sections of the BEST to respond accurately to self-assessment questions. Participants of the 2018 ASAM Review Course in Addiction Medicine and other physicians who are preparing for the ABPM Certification Exam in Addiction Medicine. The American Society of Addiction Medicine designates this enduring material for a maximum of 12 AMA PRA Category 1 Credit(s)™. Physicians should claim only the credit commensurate with the extent of their participation in the activity. The American Board of Preventive Medicine (ABPM) has approved this activity for a maximum of 12 LLSA credits towards ABPM MOC Part II requirements. This course has been approved by the American Board of Addiction Medicine (ABAM). Physicians enrolled in the ABAM Transitional Maintenance of Certification Program (tMOC) can apply a maximum of 12 AMA PRA Category 1 Credit(s)™ for completing this course. Earn 1.5 AMA PRA Category 1™ credits while learning about motivational interviewing. This highly interactive course takes a case based approach to helping you learn about motivational interviewing. You will start by learning about the major elements of motivational interviewing. You will then be guided through a case to help you identify opportunities to use principles of motivational interviewing in patient encounters. You will begin to plan appropriate responses based on patients’ descriptions of challenges and opportunities for change. 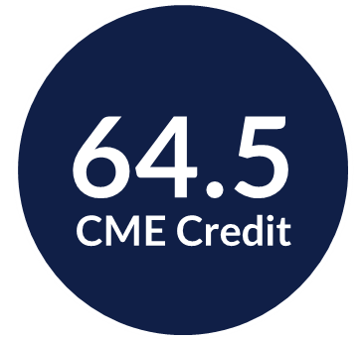 Earn 1.5 AMA PRA Category 1™ credits while learning about motivational interviewing concepts that can be used in patient interactions. This highly interactive, self-paced course, takes a case based approach to helping you learn about motivational interviewing. You will start by learning about the major elements of motivational interviewing. You will then be guided through a case to help you identify opportunities to use principles of motivational interviewing in patient encounters. Finally, you will begin to plan appropriate responses based on patients’ descriptions of challenges and opportunities for change. This activity is intended for primary care physicians, physician assistants, nurse practitioners, emergency department staff, psychiatrists, and social workers. The American Society of Addiction Medicine designates this enduring material for a maximum of 1 AMA PRA Category 1 Credit(s)™. Physicians should claim only the credit commensurate with the extent of their participation in the activity. In accordance with the disclosure policies of the American Society of Addiction Medicine (ASAM) and the Accreditation Council for Continuing Medical Education (ACCME), the effort is made to ensure balance, independence, objectivity, and scientific rigor in all educational activities. These policies include resolving all conflicts of interest between the Medical Education Council, the CME Committee, program planning committees and faculty, and commercial interests that might otherwise compromise the goal and educational integrity of the activity. All program planning committee members and faculty participating in the activity have disclosed all relevant financial relationships with commercial interests. The ASAM CME Committee has reviewed these disclosures and determined that the program planning committee and faculty relationships are not inappropriate in the context of their respective presentations and are not inconsistent with the educational goals and integrity of the activity. Earn a maximum of 64.5 AMA PRA Category 1™ credits while learning about the latest innovations in Addiction Medicine and Science from these on-demand conference recordings from the nation’s premiere conference on the latest science, research, best practices and innovations in addiction medicine. The ASAM 49th Annual Conference is the nation’s premiere conference on the latest science, research, best practices and innovations in addiction medicine. The 2018 program includes more education offerings such as; seven concurrent sessions offerings at a time instead of six, three pre-conference courses instead of two. There will also be three Plenary Sessions that include the popular Opening Plenary Session and Policy Plenary Session and new this year the National Perspectives Plenary Session moderated by the ASAM president with leaders from national federal agencies. There will be other exciting changes to provide learning in a more interactive, casual and fun environment. The American Society of Addiction Medicine designates this enduring material for a maximum of 64.5 AMA PRA Category 1 Credit(s)™. Physicians should claim only the credit commensurate with the extent of their participation in the activity. This course has been approved by the American Board of Addiction Medicine (ABAM). Physicians enrolled in the ABAM Transitional Maintenance of Certification (Tmoc) Program can apply a maximum of 64.5 AMA PRA Category 1 Credit(s)™ for completing the The ASAM 49th Annual Conference – Innovations in Addiction Medicine and Science. Earn 1 AMA PRA Category 1 Credit(s)™ while learning how professionals in Indiana's Project POINT have been removing as many barriers as possible to help patients get the services they desire, as well as, getting and then, maintaining engagement in treatment, from this conference recording at The ASAM 49th Annual Conference (2018). (1.0 CME) In this conference recording from the 2018 Annual Conference, you will learn about how emergency department (ED) visits for opioid overdose have increased dramatically over the last several years, mirroring trends in overdose related mortality (1). In Indianapolis alone, our ambulance service—Indianapolis Emergency Medical Services—responded to over 2,000 opioid overdoses in 2016 and are on track to outpace that in 2017. Many local public health and safety agencies have championed increased access to naloxone and participated in trainings making it more widely available and accepted by first responders and community members (2). In Indianapolis, we created project POINT to help link those surviving an opioid overdose with the highest quality emergency care including warm hand offs to on-going treatment. Methods: We convened a group of experts and key stakeholders in our hospital system/community and undertook a quality improvement process to improve the care of overdose survivors while in the ED and through their transition to longitudinal care. Results: We developed a set of core ED services and a plan to implement each of them. Core ED services included: 1) brief assessment by a specialty trained outreach team member (ideally a recovery coach), 2) rapid HIV/hepatitis C testing, 3) naloxone teaching and provision, 3) harm reduction counseling, 4) referral to appropriate next level of care and 5) rapid ED follow up focused on recovery support, increasing/supporting motivation and overcoming logistical barriers. We also created a network of providers who were willing and able to accept our referrals and worked with them to optimize the referral process. Conclusions: With the growing opioid epidemic, EDs and EMS systems are looking for novel and effective ways to reduce mortality and help bridge patients into recovery. EDs and EMS systems are used to working at all hours, in austere conditions with complex and often critically ill patients. We offer an expansive and largely untapped network of providers which could be brought to bear on this epidemic. Project POINT is one example of how the ED can help drive incremental change—even in areas of the country where access to high quality MAT is limited. Melissa Reyes, M.A., CRCMelissa Reyes completed her B.A. in Criminal Justice and Criminology at Ball State University in Muncie, IN. Following graduation, she worked as a case manager for the Madison Co. Problem Solving Courts for two years and was involved with both the Drug Court and Mental Health Court. In 2014, she then pursued her M.A. degree at Michigan State University in Rehabilitation Counseling. Melissa transitioned back to her home state of IN with the acceptance of a care coordinator position with Midtown Adult Addictions in Indianapolis, IN in September of 2016. The position was the forerunner of its kind for both organizations, and required constructing a unique collaboration between the community mental health center and Eskenazi Health ED; the area’s safety-net hospital. By January 2017, Melissa had accepted the role of Program Director for Project POINT (Planned Outreach,Intervention, Naloxone, and Treatment). Initially, POINT focused exclusively on providing referrals with warm handoffs, but Melissa expanded the scope and pursued a more holistic approach. This included promoting the start of implementing harm reduction counseling, rapid HIV/HCV testing as well as take home naloxone kits. In March of 2017, POINT expanded to include peer recovery coaching, and Melissa not only oversees the implementation of this new role, but also develops the training and supervision plan. Most recently, in January 2018, Melissa was offered and accepted the position of Project Director, Project POINT and Mobile Project POINT. The American Board of Preventive Medicine (ABPM) has approved this activity for a maximum of 1 LLSA credits towards ABPM MOC Part II requirements. This course has been approved by the American Board of Addiction Medicine (ABAM). Physicians enrolled in the ABAM Transitional Maintenance of Certification Program (tMOC) can apply a maximum of 1 AMA PRA Category 1 Credit(s)™ for completing this course. Earn 1.5 AMA PRA Category 1 Credit(s)™ while learning how to treat youth with opioid addiction while employing developmentally specific approaches, using relapse prevention medication (MAT), from this conference recording from The ASAM 49th Annual Conference (2018). The session also includes when and how to involve families, as well as a discussion on issues in confidentiality and the use of various levels of care. (1.5 CME) In this conference recording from the 2018 Annual Conference, you will learn about more about treating youth with opioid addiction through cases and controversies. Young people are disproportionately affected by the current opioid epidemic, with catastrophic consequences for youth and their families. Despite the urgent need, there is a lack of consensus about treatment approaches for youth. Many practitioners have questions, and struggle with this “mysterious” and difficult to engage population. This workshop will feature an interactive, case-based format. Workshop leaders will present 4-5 cases with background and treatment course, each punctuated by “what would you do next…” management questions for guided discussion at several pivotal decision points in the course. Cases are chosen to reflect real world concerns and clinical conundrums, key learning objectives, practice debates and controversies. The goal is to engage participants in a lively conversation about developmentally-informed strategies, approaches, and treatment options in the treatment of this critical target population. 18 M at 5th episode of residential detoxification who has been unable to sustain continuing outpatient care despite previous course of buprenorphine. 19 F who becomes pregnant during treatment with extended release naltrexone. 20 M in outpatient treatment, abstinent from opioids on buprenorphine, but struggling with cocaine and other non-opioid substances, opposes communication with family. 17 F who presents in crisis to residential treatment seeking detoxification, and struggles with the process of decision making around recommendations for and choice of relapse prevention medications (buprenorphine vs extended release naltrexone). 18 M with sickle cell anemia with repeated relapses despite multiple treatment levels of care, including multiple attempts at outpatient buprenorphine treatment under various programmatic conditions. delivery models for medications and psychosocial treatment modalities; and others. Marc Fishman MD is a specialist in addiction psychiatry and addiction medicine. He is a member of the faculty of the Department of Psychiatry at the Johns Hopkins University School of Medicine. He leads Maryland Treatment Centers, which offers programs for residential and outpatient treatment of drug-involved and dual-diagnosis adolescents and adults. He has written and lectured widely on a variety of topics including youth treatment, placement and treatment matching strategies, co-occurring disorders, and medication treatment for addiction. His research focus has been in treatment of opioid use disorders in youth. Dr. Fishman served as a co-editor for the most recent editions of ASAM's Patient Placement Criteria, leading the adolescent section, and served as the chief editor for the ASAM PPC Supplement on Pharmacotherapies for Alcohol Use Disorders. He is the chair of the Adolescent Committee for ASAM. He is a Past President of the Maryland Society of Addiction Medicine, and also a current member of the Board. Bikash Sharma, MD is currently a medical director for adult services at the Mountain Manor Baltimore, Maryland Treatment Centers. Dr. Sharma has board certifications with the American Board of Psychiatry and Neurology as well as the American Board of Addiction Psychiatry. He has been published in numerous journals where he has written about opioid use disorders, and alcohol and substance use in African Americans. Ann Bruner, MD is a Medical Director, who treats youth at the Mountain Manor Baltimore, Maryland Treatment Centers. Dr. Bruner is referenced as an author or co-author in dozens of peer-reviewed journals in the Journal of Adolescent Health, and a contributor to the Clinical Handbook of Adolescent Addiction. This webinar will cover what an addiction medicine specialist looks like, the different settings an addiction medicine clinician can work in, and the future pathways physician will have to become board-certified in Addiction Medicine. This on-demand webinar will cover what an addiction medicine specialist looks like, the different settings an addiction medicine clinician can work in, and the future pathway physician have to become ADM certified. This webinar is ideal for pre-medical student, medical students, residents, and medical school administrators. Explain recent updates to the Addiction Medicine field. Describe how changes to the certification process further integrate addiction treatment into the health care system. Appraise which pathways they are eligible to the ABPM ADM exam. Define the different pathways a physician can take from to the ABPM exam. Identify the need for more physicians to become board-certified in addiction medicine. Explain the basic components of an addiction medicine specialist. Dr. Louis E. Baxter, Sr., MD, DFASAM is a Past ASAM President and is the President &CEO of thr Professional Assistance Program of New Jersey, Inc.
Dr. Baxter is a certified in Addiction Medicine by the American Board of Addiction Medicine and formerly served on the Board of Directors. Dr. Baxter has served and chaired many government advisory committees and panels which include SAMHSA, NIDA, CSAT, NIAAA, and a Presidential Advisor through ONDCP since the Clinton Administration. Dr. Baxter has served the State of New Jersey in various capacities serving on the Governor's Council for Drug and Alcohol Addiction, Medical Director for the Division of Addiction Services, and most recently as the Addiction Medicine Consultant for the Division of Mental Health and Addiction Services. He has held academic appointments as Assistant Clinical Professor of Medicine for former University Medicine & Dentistry and now currently with Rutgers New Jersey Medical School in Newark, NJ. Dr. Baxter is serving as Co-Director if the Addiction Medicine Fellowship Program at Howard University Medical School and Hospital. Helen Jack is a fourth year student at Harvard Medical School. In medical school, her research has focused on how lay health workers, including recovery coaches and community health workers, can contribute to care access and outcomes. She also helps organize the Student Coalition on Addiction, a group of medical students from across Massachusetts engaged in advocacy on addiction medicine education and access to treatment services. She holds a Visiting Researcher position at the Institute of Psychology, Psychiatry, and Neuroscience at King's College London. With KCL, she conducts mental health systems research in Zimbabwe and works on a Wellcome Trust-funded project to build mental health research capacity in southern Africa. Helen graduated from Yale University in 2012. Following graduation, she got a second BA in Philosophy, Politics, and Economics at Oxford University as a Rhodes Scholar. Dr. Anna Lembke is currently an Associate Professor of Psychiatry and Behavioral Sciences at Stanford University School of Medicine. She is a diplomate of the American Board of Psychiatry and Neurology, a diplomate of the American Board of Addiction Medicine, the Program Director for the Stanford University Addiction Medicine Fellowship, and Chief of the Stanford Addiction Medicine Dual Diagnosis Clinic. She has published peer-reviewed articles, chapters, and commentaries, including in the New England Journal of Medicine, the Journal of the American Medical Association, the Journal of General Internal Medicine, and Addiction. Dr. Lembke sees patients, teaches, and does research. She is the author of a book on the prescription drug epidemic: “Drug Dealer, MD: How Doctors Were Duped, Patients Got Hooked, and Why It’s So Hard to Stop” (Johns Hopkins University Press, October 2016). This webinar will begin with an overview of the current state of the addiction epidemic, then move onto other topics including the gap in addiction treatment, the role physicians can play to help close the gap, and the importance, as well as how to apply for the ADM exam. Earn 1 CME while learning how to become board-certified in Addiction Medicine. This on-demand webinar will begin with an overview of the current state of the addiction epidemic and the huge gap in addiction treatment. It will then move on to the role physicians can play to help close this gap, and the importance to sit for the ABPM Addiction Medicine exam. The webinar will then move on to a representative from ABPM discussing the details of how physicians can apply for the ADM exam and any “lessons learned” from last year. This webinar is ideal for any physician interested in addiction medicine, ABAM Diplomates, DATA 2000 waivered physicians, medical directors, and others. Shawn A. Ryan, MD, MBA is an Dual Board Certified Emergency Physician as well as Addiction Specialist. He is currently an assistant professor, Department of Emergency Medicine, University of Cincinnati, and President & CMO of BrightView Health. Dr. Ryan is currently practicing addiction medicine treatment in Cincinnati, is published on this issue, and also serves on many regional, state, and national committees addressing this complicated subject. Dr. Ryan is President of the Ohio Society of Addiction Medicine and the Chair of Payer-Relations for ASAM and he spends a significant amount of time working with large commercial payers and Medicaid administrators on current and future payment strategies. Steven Daviss, MD, DFAPA is a physician, double-boarded in Psychiatry and in Psychosomatic Medicine, which is the intersection of primary care and psychiatry. He is currently a senior medical advisor for the Office of the CMO at SAMSHA. He is the past Chair of the Department of Psychiatry at Baltimore Washington Medical Center (2004-2014), and is a Clinical Assistant Professor in the University of Maryland School of Medicine, where he also attended medical school. He trained at the University of Pittsburgh Medical Center at Western Psychiatric Institute and Clinic. He completed an NIMH-funded clinical research fellowship in schizophrenia at the Maryland Psychiatric Research Center. In this webinar, in reflecting new scientific understanding of addiction, the speakers will offer guidance on how the media can accurately and fairly cover addiction through language, point-of-view, and style. The medical understanding of addiction and the science behind the disease has changed significantly. While the medical community changes the way it treats addiction, the media is also changing the way it covers addiction. The webinar will consider the stigma surrounding addiction and how the way the media covers the disease effects the public perception of the disease. Importantly, the webinar also will discuss the recent changes made to the AP Stylebook about the word “addict” and other stigmatizing words. Sarah E. Wakeman, MD is the Medical Director for the Mass General Hospital Substance Use Disorder Initiative, program director of the Mass General Addiction Medicine fellowship, and an Assistant Professor of Medicine at Harvard Medical School. She is also the Medical Director of the Mass General Hospital Addiction Consult Team, co-chair of the Mass General Opioid Task Force, and clinical lead of the Partners Healthcare Substance Use Disorder Initiative. She is the Medical Director of RIZE Massachusetts, a state-wide, private sector initiative created to build a $50 million fund to implement and evaluate innovative interventions to address the opioid overdose crisis. She received her A.B. from Brown University and her M.D. from Brown Medical School. She completed residency training in internal medicine and served as Chief Medical Resident at Mass General Hospital. She is a diplomate and fellow of the American Board of Addiction Medicine. She is chair of the policy committee for the Massachusetts Society of Addiction Medicine. She served on Massachusetts' Governor Baker’s Opioid Addiction Working Group. Nationally, she is chair of the American Society of Addiction Medicine Drug Court Task Force and serves on their ethics committee.Clinically she provides specialty addiction and general medical care in the inpatient and outpatient setting at Mass General Hospital and the Mass General Charlestown Health Center. Her research interests include evaluating models for integrated substance use disorder treatment in medical settings, recovery coaching, physician attitudes and practice related to substance use disorder, and screening for substance use in primary care. Michael Botticelli currently serves as the Executive Director of the Grayken Center for Addiction, Boston Medical Center. Previously, Mr. Botticelli served as the Acting Director of National Drug Control Policy. He also served as the Deputy Director of National Drug Control Policy, a position he held since 2012. Mr. Botticelli has more than two decades of experience supporting Americans who have been affected by substance use disorders. Prior to joining ONDCP, Mr. Botticelli served as Director of the Bureau of Substance Abuse Services at the Massachusetts Department of Public Health, where he successfully expanded innovative and nationally recognized prevention, intervention, treatment, and recovery services for the Commonwealth of Massachusetts. He also forged strong partnerships with local, state, and Federal law enforcement agencies; state and local health and human service agencies; and stakeholder groups to guide and implement evidence-based programs. These programs include the establishment of a treatment system for adolescents, early intervention and treatment programs in primary healthcare settings, jail diversion programs, re-entry services for those leaving correctional facilities, and overdose prevention programs. Mr. Botticelli has served in a variety of leadership roles for the National Association of State Alcohol and Drug Abuse Directors. He was also a member of the Advisory Committee for the Substance Abuse and Mental Health Services Administration's Center for Substance Abuse Prevention and the National Action Alliance for Suicide Prevention and has also co-authored many peer-reviewed articles that have significantly contributed to the field . In 2008, Mr. Botticelli was the first recipient of the annual Ramstad/Kennedy National Award for Outstanding Leadership in Promoting Addiction Recovery. In 2012, he was awarded the Service Award from the National Association of State Alcohol and Drug Abuse Directors. Born in Upstate New York, Mr. Botticelli holds a Bachelor of Arts from Siena College and a Master of Education from St. Lawrence University. He is also in long-term recovery from addiction, celebrating over 24 years of sobriety. Jeff McMillan is the East enterprise editor for The Associated Press, guiding investigations and features for one of the world’s largest newsgathering organizations in a region stretching from Ohio to Maine. He is an editor of the AP Stylebook, known as the “bible” for journalists on matters of usage and style, and was the primary author of its guidance on drugs and addiction. He is also the East region’s main consultant on journalistic standards. He is a graduate of the University of Minnesota. Earn 1.5 AMA PRA Category 1 Credit(s)™ while learning about global developments pertinent to marijuana legalization and decriminalization efforts and the central role of addiction physicians in the respective public policies, from this conference recording from The ASAM 49th Annual Conference (2018). (1.5 CME) In this conference recording from the 2018 Annual Conference, you will learn that, marijuana is an illegal drug in most countries around the globe, however efforts to legalize marijuana in a number of countries are gaining momentum. Addiction physicians are consequently are more involved in public policy debates on the subject. This symposium will provide an overview of global developments pertinent to marijuana legalization and decriminalization efforts and the central role of addiction physicians in the respective public policies. The increasing use and abuse of marijuana around the globe raises questions about the impact of this substance on communities, and the role of addiction physicians in influencing public policies. Questions about the safety, toxicity, addictive potential, gateway effects of marijuana are now being fiercely debated, as states in the USA (Colorado and Washington) are legalizing marijuana, and other countries are considering decriminalizing i.e. Uruguay. Furthermore, the "medical" use of marijuana is being permitted by some US states and nations (i.e. Canada). Dr. Kevin Sabet will cover international and global consequences of legalization of marijuana.In brief, the symposium will provide the participants an important historical and international perspective on marijuana use, abuse and dependency, and the relationship addiction physicians can establish with the public, policymakers and governmental authorities. In addition, an Audience Response System will be utilized to evaluate controversial opinions of participants and facilitate vigorous audience participation. Marc Galanter, M.D., is a Professor of Psychiatry at NYU, Founding Director of the Division of Alcoholism and Drug Abuse, a Senior Editor of the Journal “Substance Abuse,” and co-editor of the American Psychiatric Association's “Textbook of Substance Abuse Treatment.” He has written four books, “Cults: Faith, Healing, and Coercion,” “Network Therapy for Alcohol and Drug Abuse,” “Spirituality and the Healthy Mind,” and "What is Alcoholics Anonymous? ", and published over 200 peer-reviewed articles. His NIH and foundation-funded studies have addressed network therapy for substance abuse, pharmacologic treatment for addiction, the psychology of Twelve-Step recovery, and spirituality in healthcare. Dr. Galanter attended Albert Einstein College of Medicine where he did his residency in psychiatry. After that he was a Clinical Associate of the National Institute of Mental Health, then an NIH Career Teacher. He later served as President of the Association for Medical Education and Research in Substance Abuse (AMERSA, 1976-1977), the American Academy of Addiction Psychiatry (AAAP, 1991-1992), and the American Society of Addiction Medicine (ASAM, 1999-2001). Among his awards are the Gold Achievement Award for Innovation in Clinical Care, the Oskar Pfister Award for Spirituality, Religion and Psychiatry, and the Seymour Vestermark Award for Psychiatric Education, all from the American Psychiatric Association; the McGovern Award for Medical teaching from AMERSA; the Smithers Award for Research form ASAM; and New York State's Award for Psychiatric Research. Dr. Gregory Bunt graduated medical school in 1983 from NYU School of Medicine, and completed his residency in Psychiatry at the Albert Einstein College of Medicine in 1987. He was among the first to complete the Fellowship in Addiction Psychiatry at NYU School of Medicine (1989), and has since been on the NYU Medical School Faculty in the Division of Alcoholism and Drug Abuse, currently as an Assistant Clinical Professor of Psychiatry. He is a diplomat of the American Board of Psychiatry and Neurology with Special Added Qualifications in Addiction Psychiatry and a Fellow of the International Society of Addiction Medicine.Dr. Bunt is the Immediate Past President of the New York Society of Addiction Medicine and the Immediate Past President of the International Society of Addiction Medicine. He has been the Medical Director for Daytop Village and Daytop International for over 25 years. He has authored over a dozen publications, and speaks nationally and internationally about addiction medicine and therapeutic communities. Kevin A. Sabet, PhD, has studied, researched, written about, and implemented drug policy for almost 20 years. He has worked in the Clinton (2000) and Bush (2002-2003) Administrations, and in 2011 he stepped down after more than two years as the senior advisor to President Obama's drug control director, the only drug policy staffer to have ever served as a political appointee in a Democrat and Republican administration. He has appeared since at the Aspen Ideas and New Yorker festivals, on the Organization of American States blue ribbon commission advising hemispheric drug policy, and in hundreds of discussions promoting the ideas outlined in his first book, Reefer Sanity: Seven Great Myths About Marijuana. He has been featured on the front page of the New York Times and many publications and news channels. In 2013, he co-founded, Project SAM (Smart Approaches to Marijuana), which advocates for a public health based marijuana policy. He is also the Director of the Drug Policy Institute at the University of Florida, Department of Psychiatry, Division of Addiction Medicine and the author of numerous monographs and peer-reviewed journal articles and advises several non-governmental organizations as well as the United Nations and other multi-national organizations. Dr. Sabet's blog is housed at the Huffington Post and he regularly contributes to opinion-editorial pages, including the Washington Post and New York Times. Two of his op-eds have earned him a “Five Best Columns" distinction by The Atlantic. He is the winner of the 2014 Nils Bejerot Award for Global Drug Prevention, given at Stockholm City Hall by the anti-drug organization chaired by H.M. Queen Silvia of Sweden and the John P. McGovern Award for Drug Prevention given by the Institute for Behavior and Health, and Robert DuPont, the founding director of the National Institute on Drug Abuse. He received his Doctorate of Philosophy and Masters of Science from Oxford University as a Marshall Scholar in 2007 and 2002, respectively, and his B.A. with high honors in Political Science from the University of California, Berkeley in 2001. Dr. Susan Weiss is the Director, Division of Extramural Research at the National Institute on Drug Abuse (NIDA), which oversees NIDA’s extramural programs, research training, operations planning, and trans-NIH initiatives, such as the Adolescent Brain Cognitive Development (ABCD) study, and the Brain Research through Advancing Innovative Neurotechnologies® (BRAIN) Initiative. Dr. Weiss also serves as a senior science advisor to the NIDA Director and scientific liaison to the NIH, HHS, and other Federal Agencies. Previously, she served as the Chief of the Science Policy Branch and Acting Director of NIDA's Office of Science Policy and Communications. Before coming to NIDA, Dr. Weiss was the Senior Director of Research at the National Mental Health Association (now Mental Health America), and previously she directed a translational research program in the Biological Psychiatry Branch of the National Institute of Mental Health. Dr. Weiss received multiple awards, including NIH Plain Language Awards, NIH and NIDA Director’s Awards, and an Emmy for her contributions to the HBO Addiction Project. She has published more than 150 scientific articles, graduated from SUNY at Stony Brook, and received her Ph.D. in Psychology from the University of Maryland. "